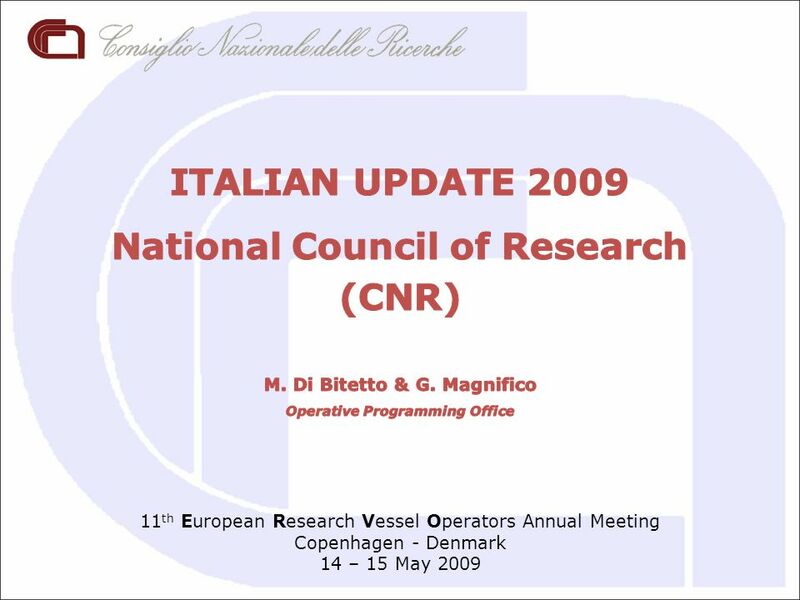 11 th European Research Vessel Operators Annual Meeting Copenhagen - Denmark 14 – 15 May 2009. 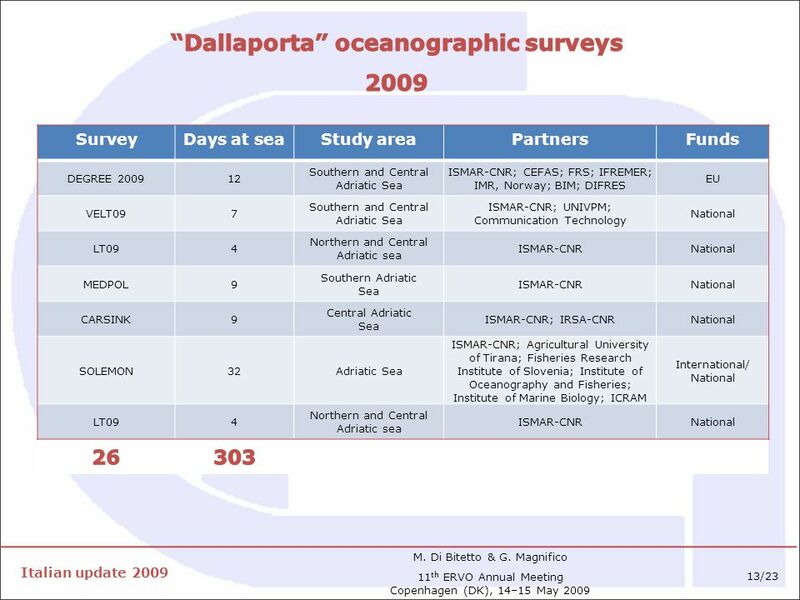 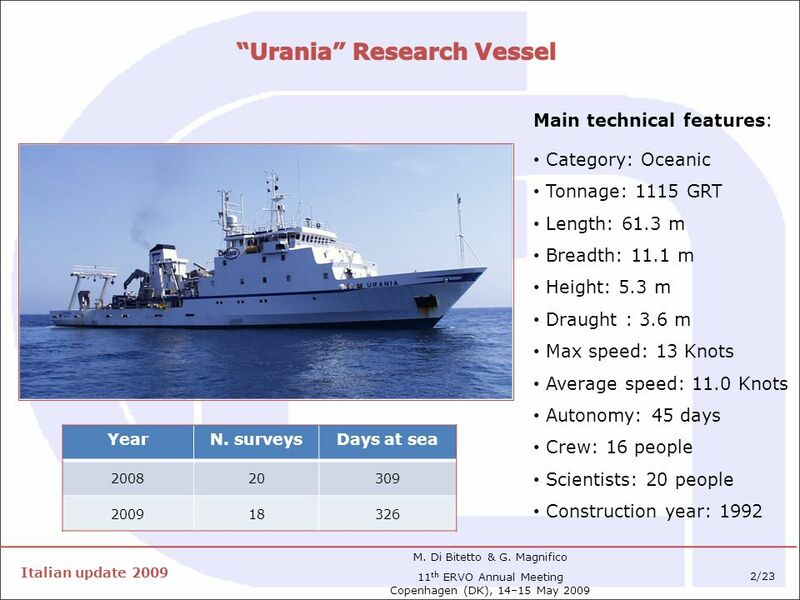 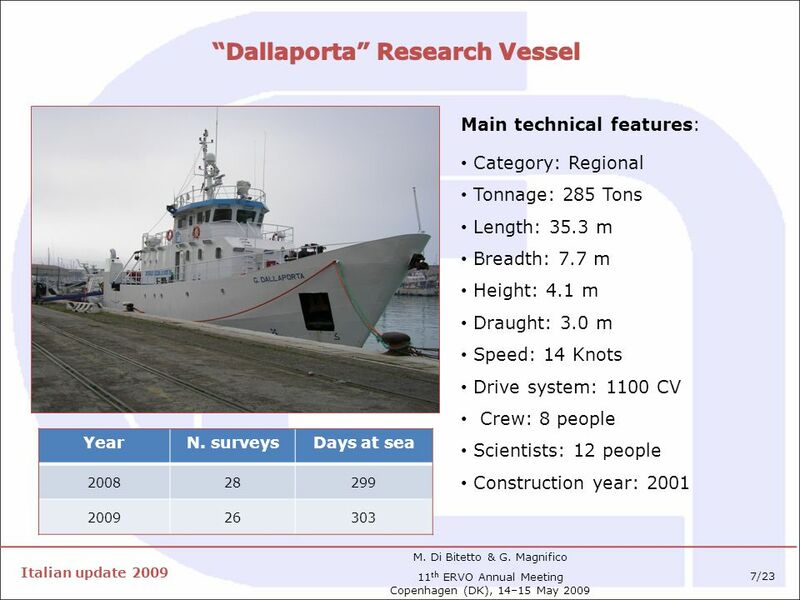 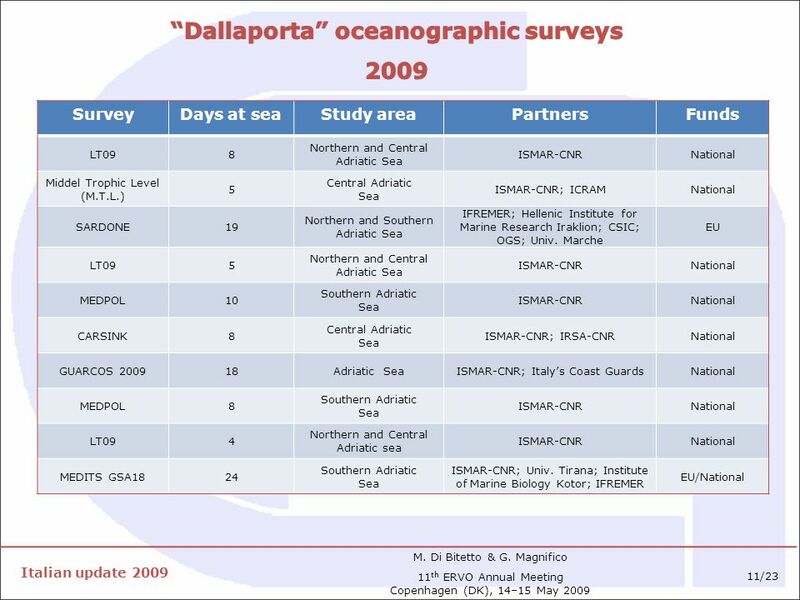 Download ppt "11 th European Research Vessel Operators Annual Meeting Copenhagen - Denmark 14 – 15 May 2009." 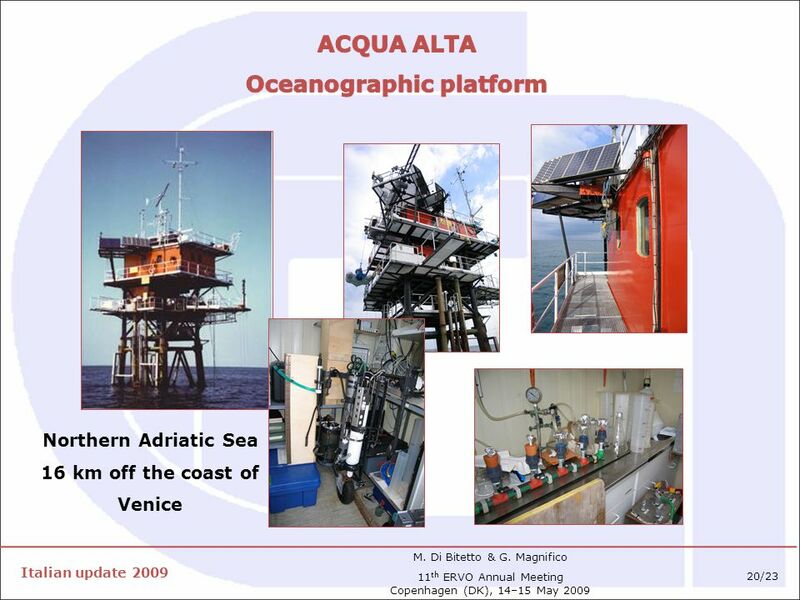 CMCC – Centro euro-Mediterraneo per i Cambiamenti Climatici Italian Ministry for the Environment, Land and Sea The ADRICOSM-STAR Project: ADRICOSM INTEGRATED. 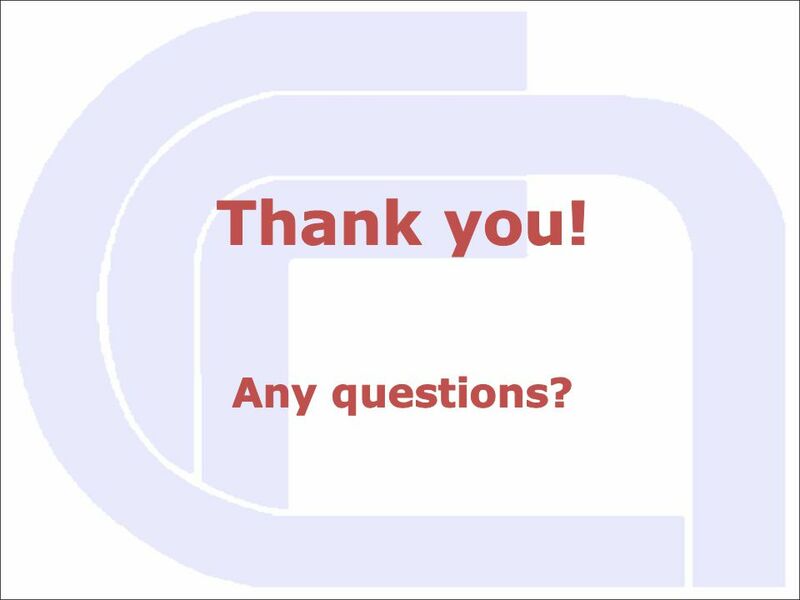 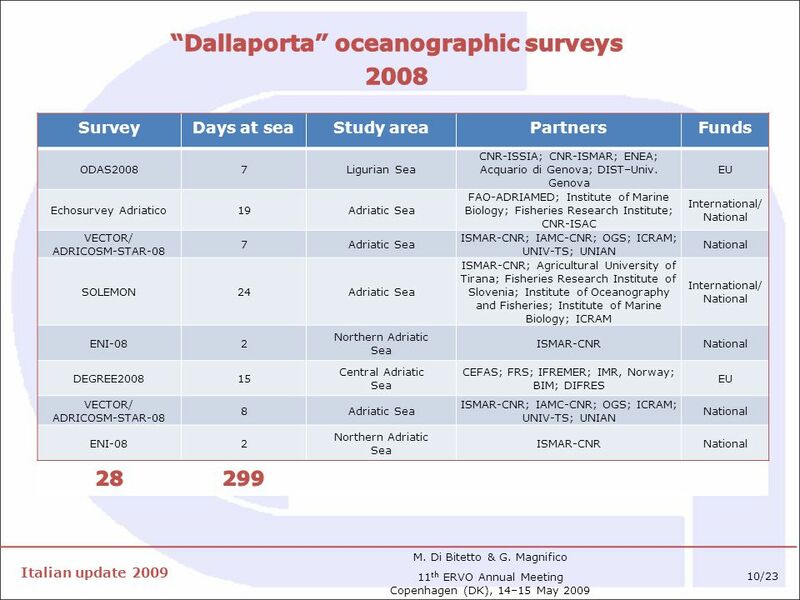 Participants: Gian Pietro Gasparini: scientist (contact person) Stefania Sparnocchia: scientist Pierluigi Traverso: scientst Anna Vetrano: scientist Bacciola. 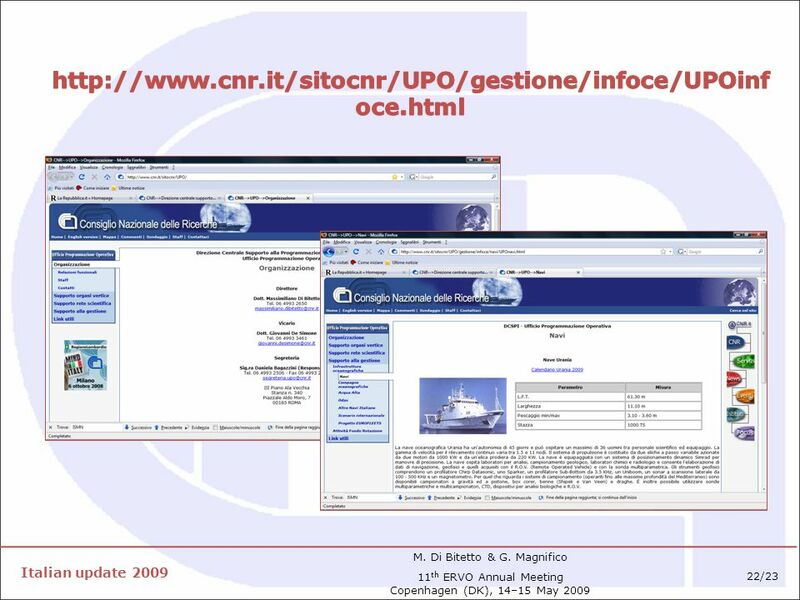 CMCC – Centro euro-Mediterraneo per i Cambiamenti Climatici II Convegno nazionale di Oceanografia Operativa Italian Ministry for the Environment, Land. 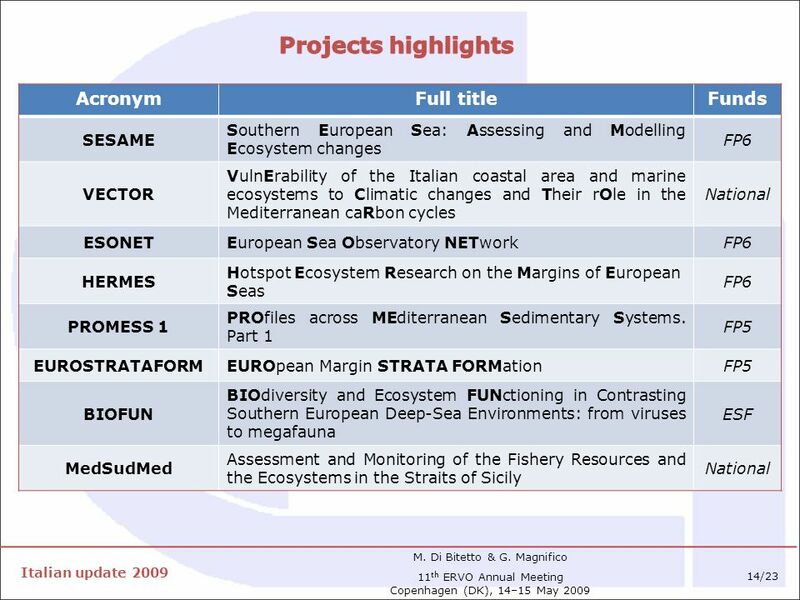 MBSHC/CHMMN 2011 – EMODNET-Hydrography The EU EMODNET-Hydrography pilot project. 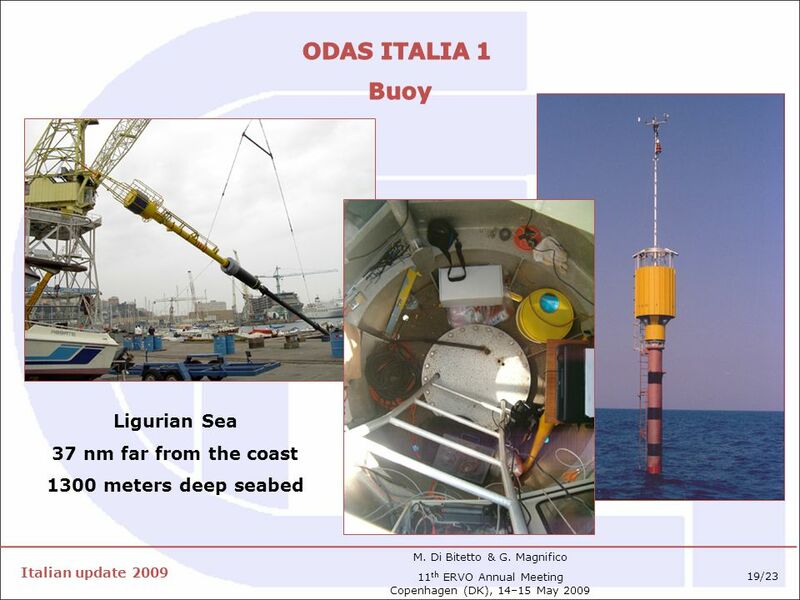 1 Italian Activity in SOOP-VOS PMO-3-INT Hamburg March, 2006 Franco Reseghetti Giuseppe M.R. 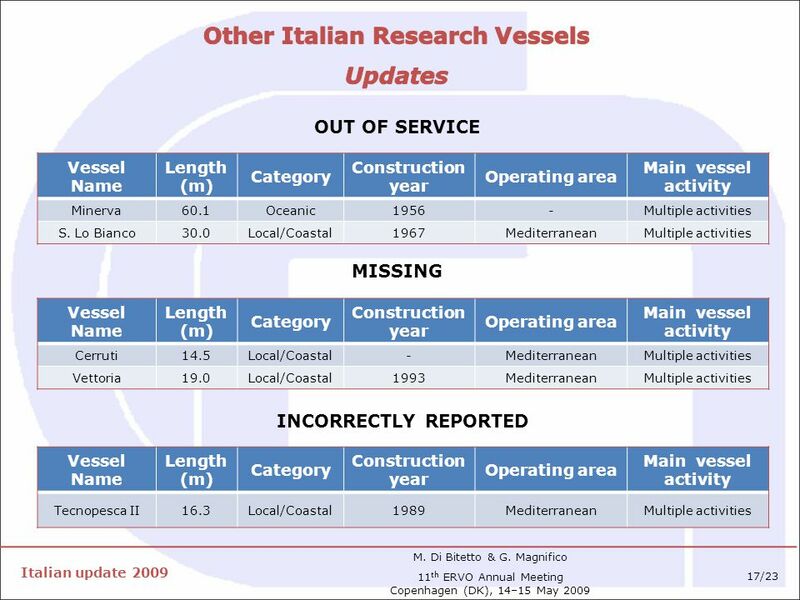 Manzella ENEA – La Spezia (on behalf of GNOO – National. 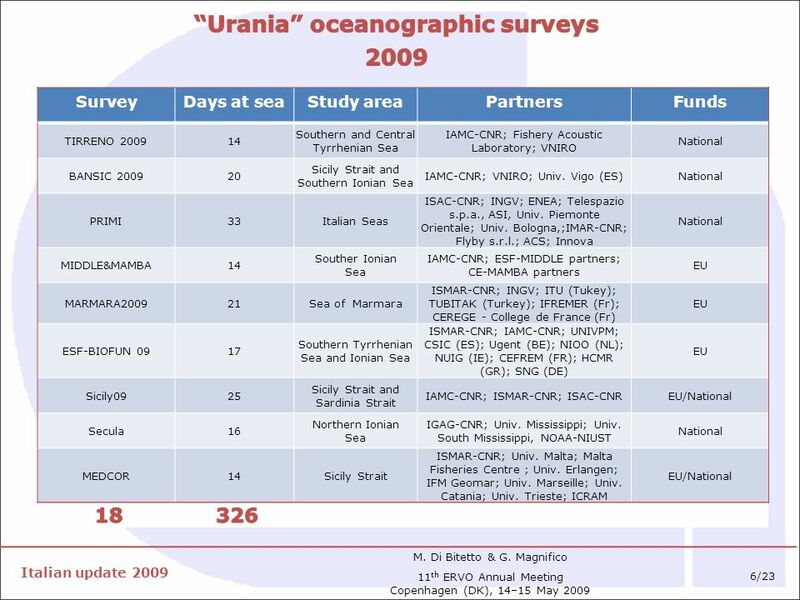 EMD Sustainable growth from the oceans, seas and coasts: blue growth Prof. Frederic CADET, Vice-President of Regional Council of La Réunion Region. 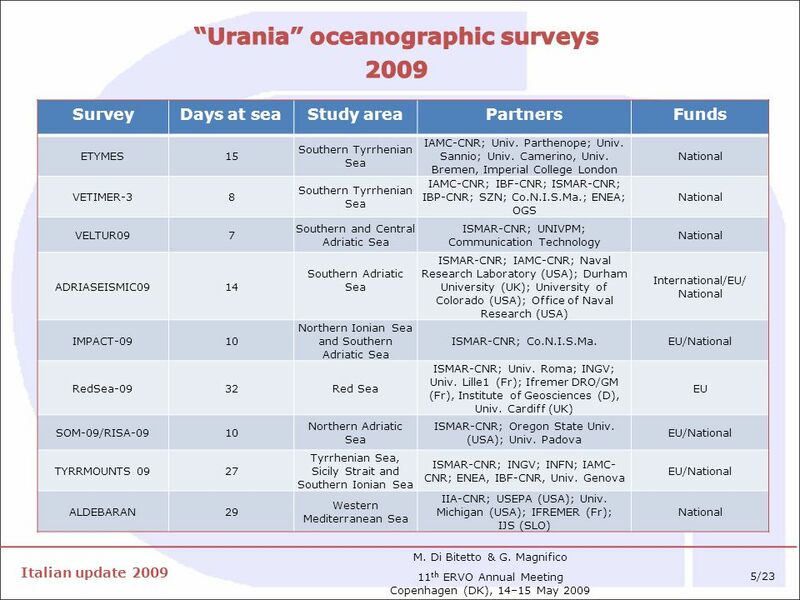 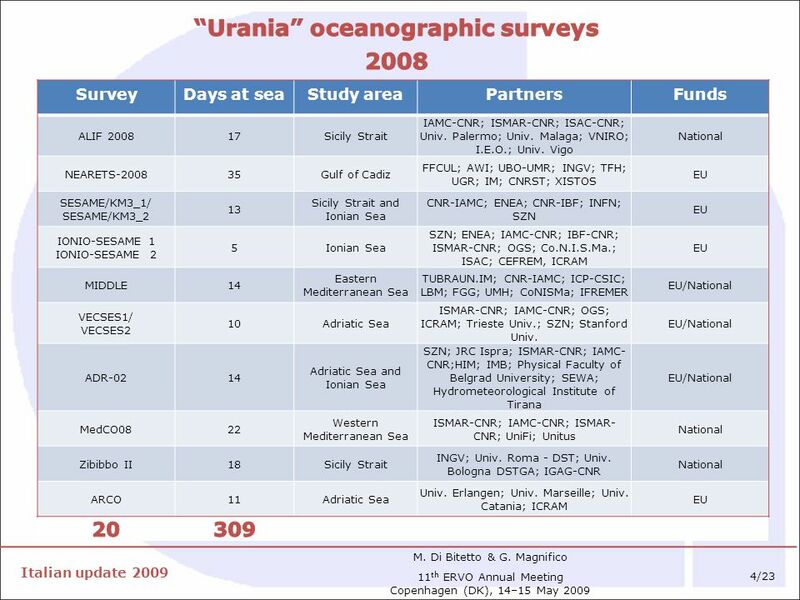 EuroSITES An integrated European network of deep ocean multidisciplinary observatories Coordinated by: National Oceanography Centre Southampton, UK Richard. 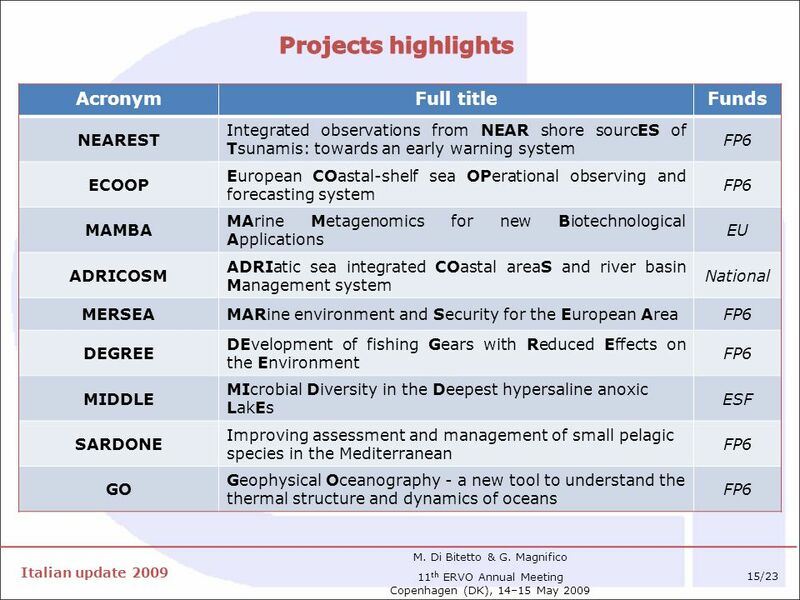 Biodiversity databases and database management systems for the world’s ocean: experience and outputs from five international projects Sergey Piontkovski. 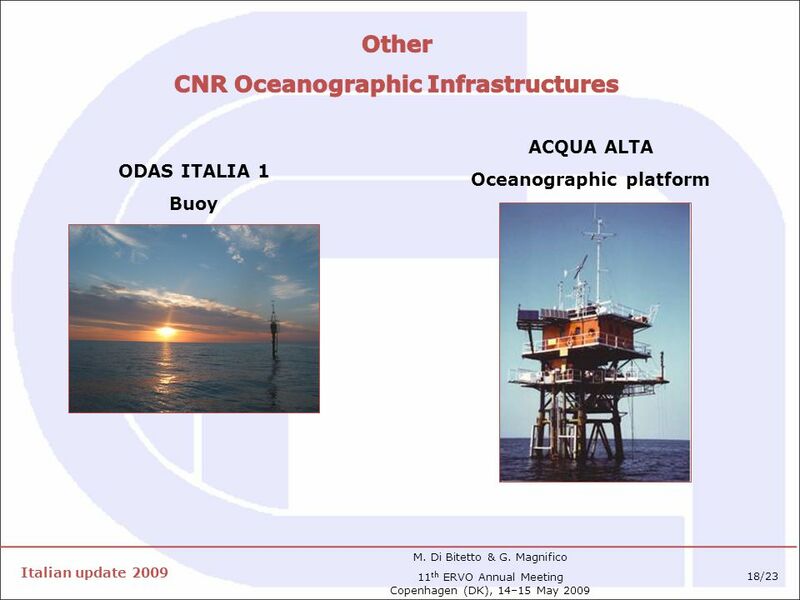 Kick off meeting, February 2007, Salerno COBECOS Costs and Benefits of Control Strategies Italian case study: GSA 9 Ligurian and North Tirrenian. 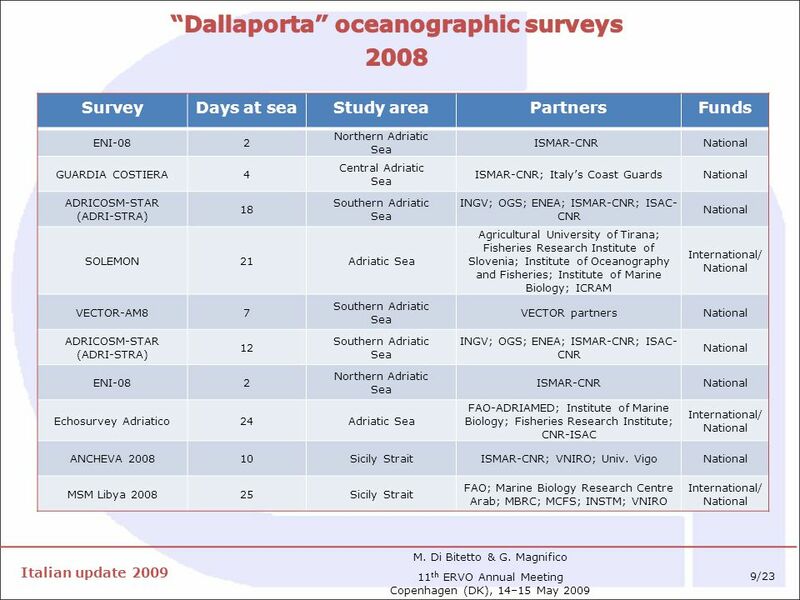 Scientific Cooperation to Support Responsible Fisheries in the Adriatic Sea. 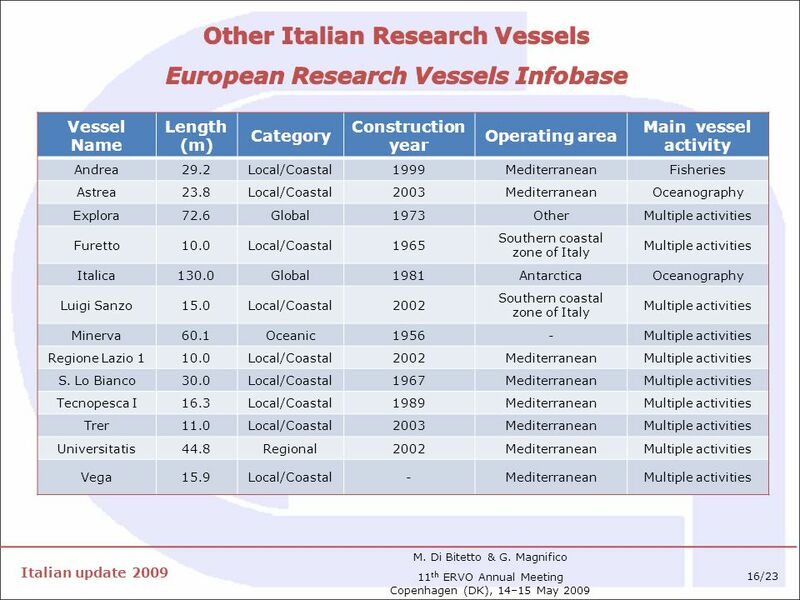 Alessia Rodriguez y Baena Scientific programs in the Mediterranean and future perspectives CIESM THE MEDITERRANEAN SCIENCE COMMISSION. 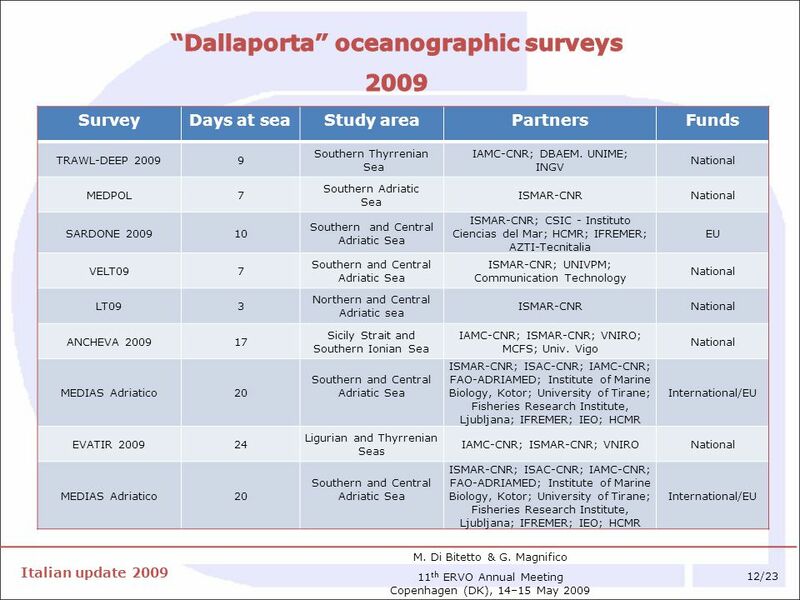 Applying an ecosystem-based approach to fisheries management: focus on seamounts in the southern Indian Ocean Agulhas and Somali Current Large Marine Ecosystems. 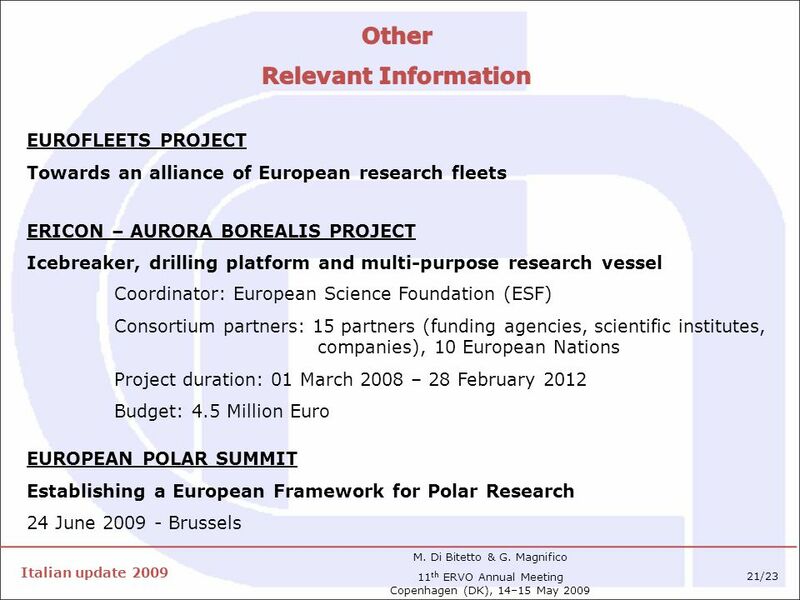 ENVIRONMENT (including Climate Change) W Cieślikiewicz – ESONET NoE, Barcelona 2007 Slide 1 ESONET NoE All Regions Workshop 1 Witold Cieslikiewicz ‘Management. 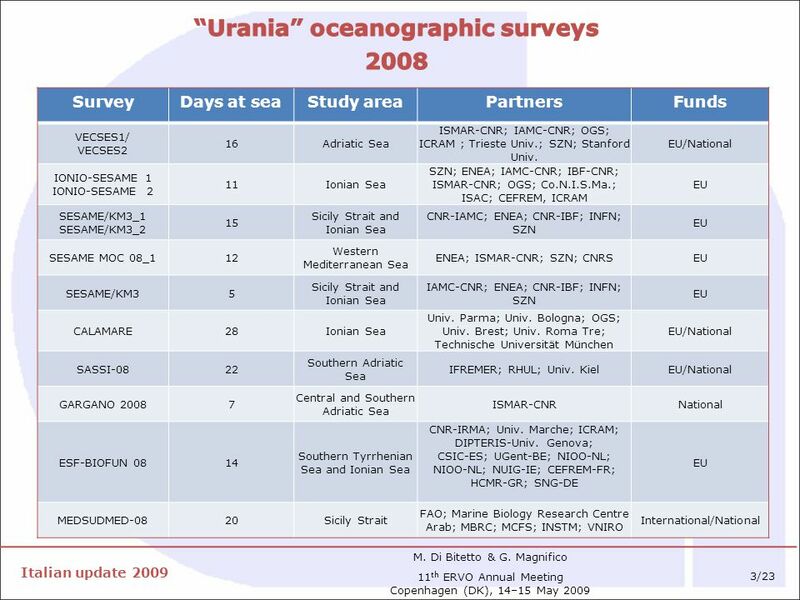 Wider Caribbean and Western Mid-Atlantic EBSA Regional Workshop, 28 February to 2 March 2012 – Recife, Brazil. 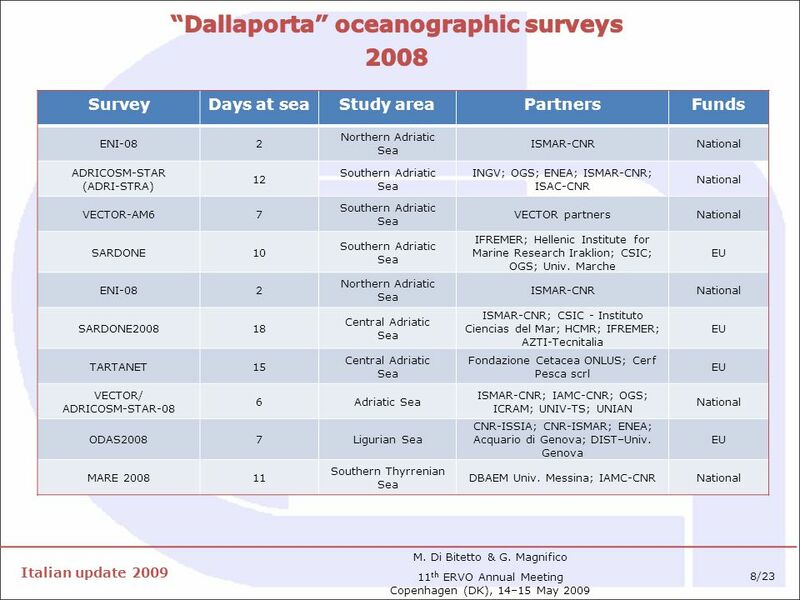 Www.southampton.ac.uk The HERMIONE project (Hotspot Ecosystem Research and Man’s Impact on European Seas) is a new interdisciplinary project co-ordinated.